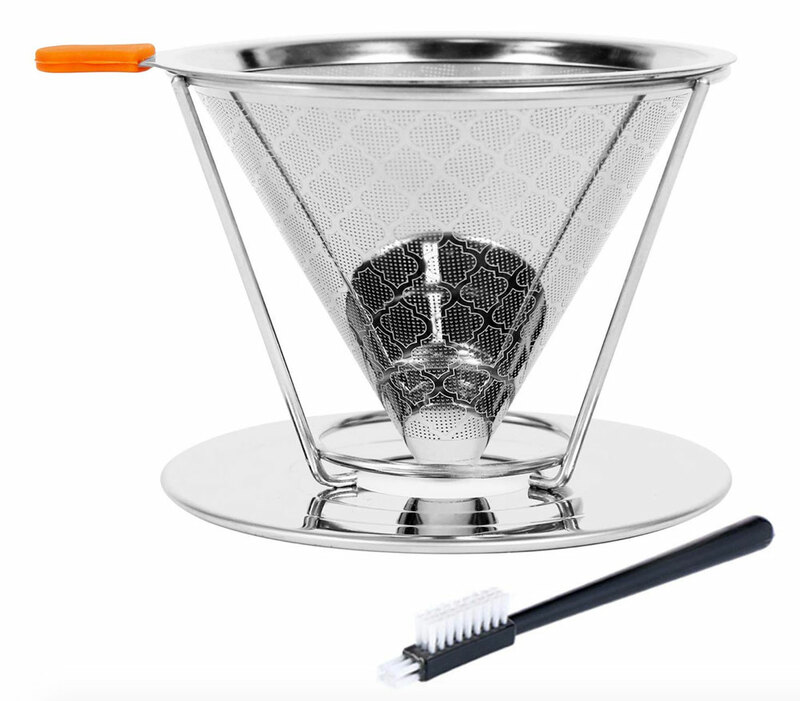 NEWS – This, of course, is not the only pour-over coffee maker on the market, but it is the first I’ve personally seen that doesn’t require a disposable paper filter. Paper filters add to the waste you produce, especially if you use one paper filter for each cup of coffee you make. This reusable Pour Over Coffee Filter doesn’t require any wasteful paper filters. 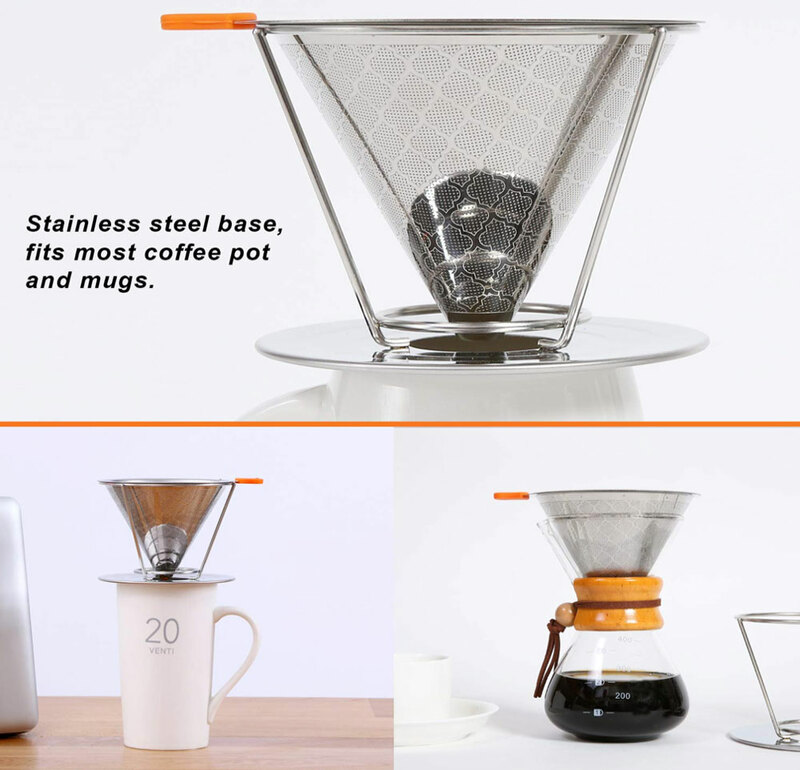 It’s made of 18/10 (316) stainless steel, with a double-layer mesh that retains all coffee grounds while letting all the flavored oils through for a delicious cup of coffee. It comes with a stand that’s designed to sit on a cup as the coffee brews a single serving. Without the stand, the metal filter can replace paper filters in Chemex, Hario V60, and other coffee makers. (Chemex seen at bottom, right.) It has a silicone grip to prevent burning your fingers. Cleanup is easy; simply dump out the grounds, then clean the filter using warm running water and the included brush. Every 2-3 weeks, descale the filter with a solution of vinegar and water. The Pour Over Coffee Filter by Walkbon is available for $15.89 at Amazon. I wonder how easy it actually is to clean, and if the few remaining coffee grounds will be OK for the drain system. Wonder if a paper filter could be used even though not required? Paper filtering eliminates a compound responsible for raising cholesterol so I like my paper filters.